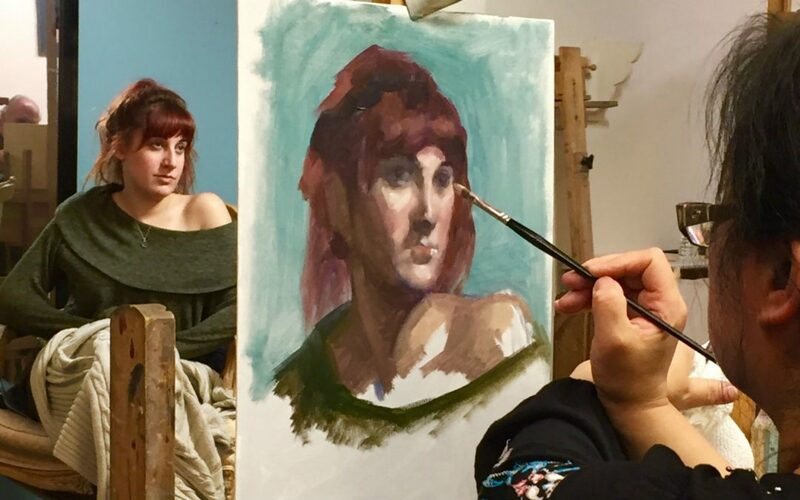 Students work with several models over the course of the semester; each model takes a single pose for three or four 6-hour sessions (with 1 hour break). Models are sometimes costumed. Students become familiar with alla-prima portrait painting and focus on light effects and likeness. Please note that you may need only drawing or only painting materials for this class, depending on your individual needs. Please check with your instructor before you purchase materials.